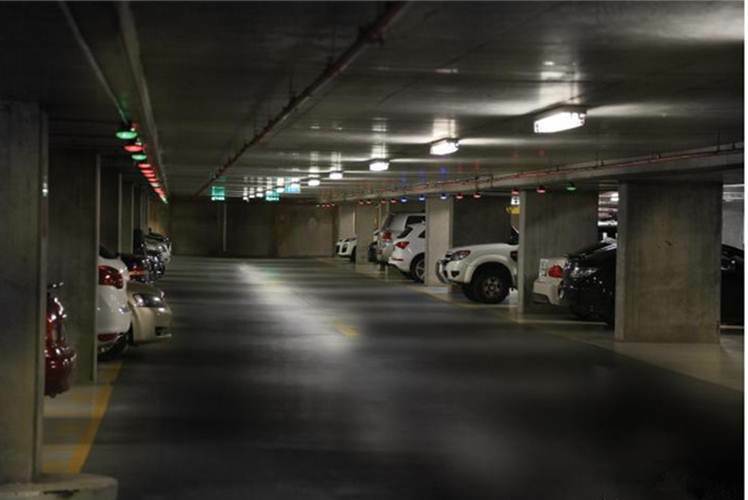 A Smart Parking Management System is an ideal solution to show unoccupied parking spaces and guide parkers to quickly park in no time. Typically installed at shopping malls, airports, hospitals, office buildings, residential communities, etc., SPMS is composed of an Ultrasonic Sensor, Bay LED Indicator, LED Display, Data Collector, Center Processor, Software & accessories. 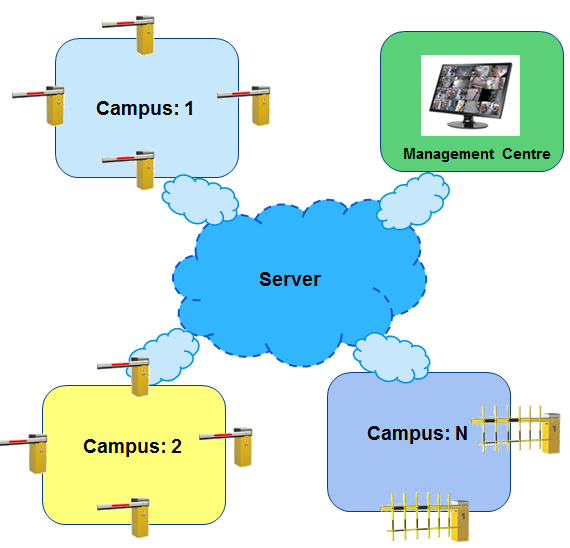 Real-time monitoring of parking space availability by facility, level, and single space. 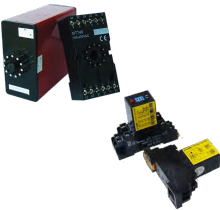 Status monitoring of ultrasonic sensors and electronic signs. System alerts for exceeding parking duration, vehicles in transit and more. Data sharing interface with city way finding systems. 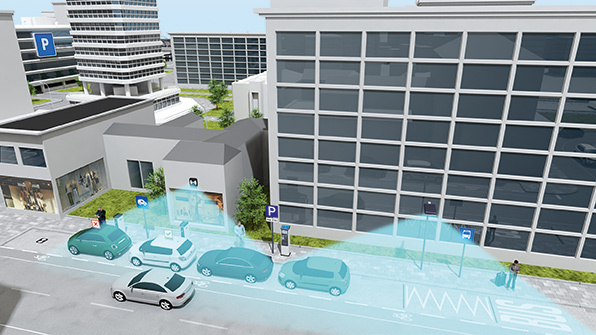 What is Parking Management System ? It dispenses hourly parking barcode tickets to gain access to the parking lots. 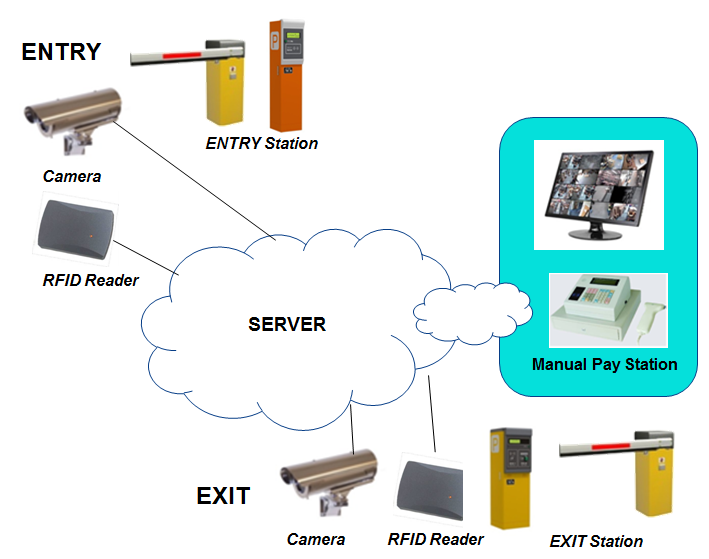 While season parkers get access via self-service by swiping their cards close to the reader, i.e built-in the Entry/EXIT Station, or enter/leave without stopping if the window shield tag is read by the external long range reader. 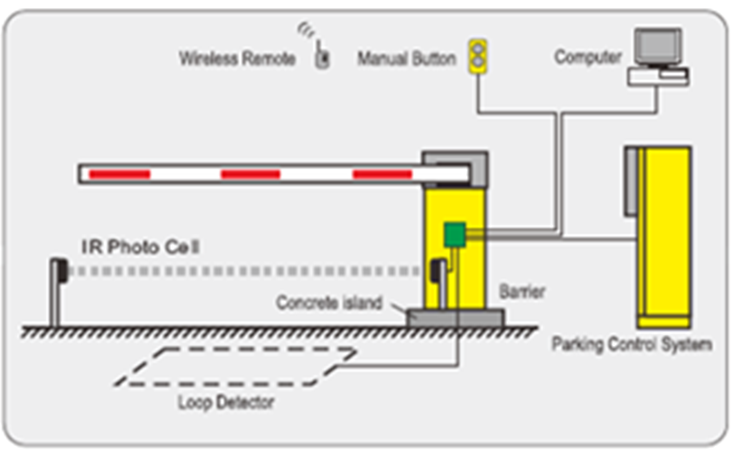 Typically the Entry/Exit Station is coupled with a Barrier Gate, Loop Detector, and optional devices, depending on the site requirements. As one part of the parking management systems, a barrier gate stops unauthorized parkers from entering premises and gives access to authorized parkers. When leaving, hourly parkers drive to the Manual Pay Station and give the ticket to the guard, and the guard scans the ticket by a barcode scanner which is connected to the MPS and collects cash. 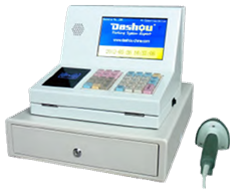 The charging data will be displayed and stored in the cash register. EXIT : Reader reads tag, barrier opens, creates billing record. Special Bill Rates (includes no billing). 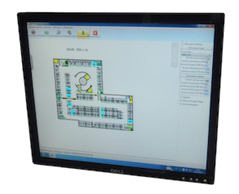 Eliminates/Reduces staff costs – works automatically. 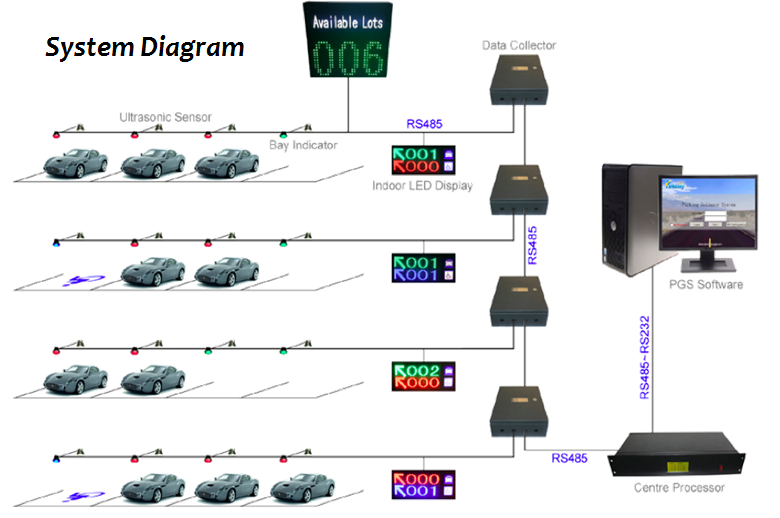 The Data Collector manages sensors in a group and collects information for calculation at the Centre Processor; the availability information is then released to a LED Display which will be installed at each and every entrance and intersection of the parking lot. By telling drivers how many parking spaces are available before their entry to the parking lot and which direction to take in order to find one afterwards, we make parking a very simple and comfortable experience for them. In a parking lot equipped with BioEnable PGS, drivers can find a space in the shortest time. Even if there’s only one last parking space available, they will be guided there fast and effortlessly. 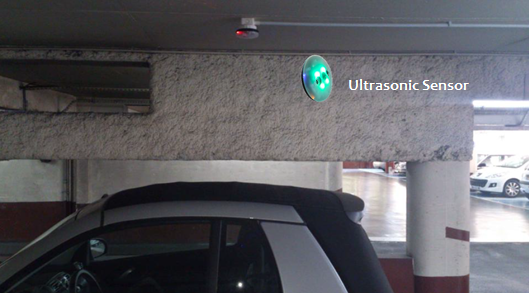 Ultrasonic detection technology based units are installed right over the middle of the parking spaces (either on the ceiling or on the cable tray) to monitor the presence of vehicles and provide real-time information for the PMS system. 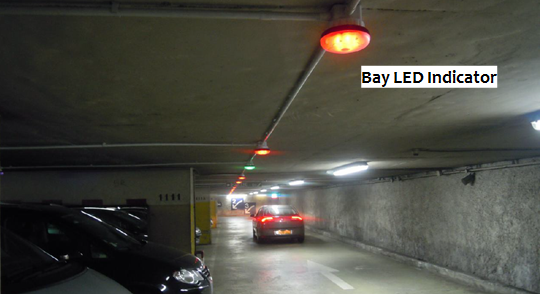 A high brightness LED indicator controlled by an Ultrasonic Sensor tells the occupancy status of a parking space through different color illumination. Normally red color indicates the space is being occupied; green, blue and yellow indicate space available. It is the first component greeting drivers at a car park equipped with BioEnable PGS. Outdoor LED Display at entrances tell how many spaces are available in each floor while Indoor LED Displays at corners and intersection tell which direction to take in order to find one. Data Collector serves as a bridge connecting the Centre Processor to Ultrasonic Sensors and a LED Display. It picks up sensor information, transfers to Centre Processor, and also helps to release availability information from Centre Processor to LED Displays. Centre Processor is the core of the PGS system and deals with data processing, information storage and release.